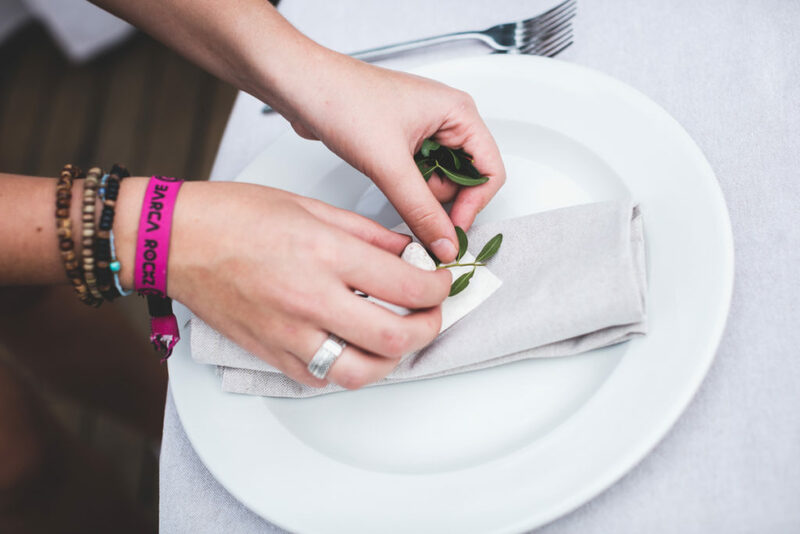 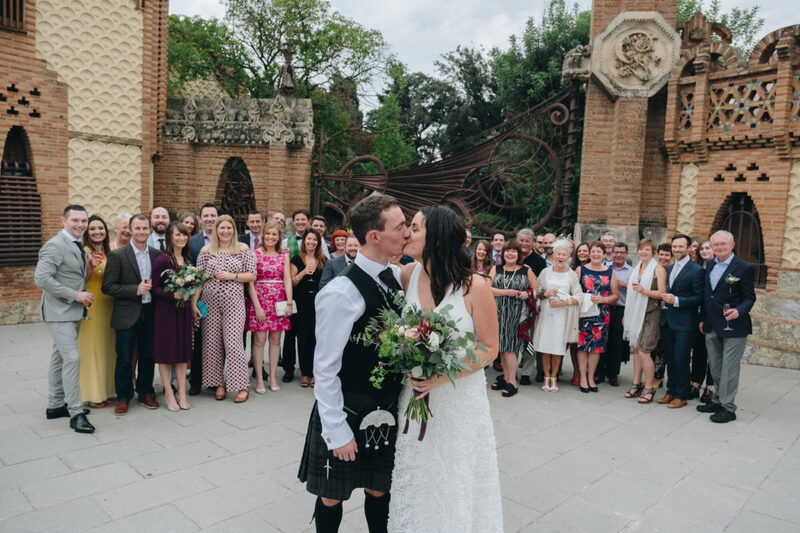 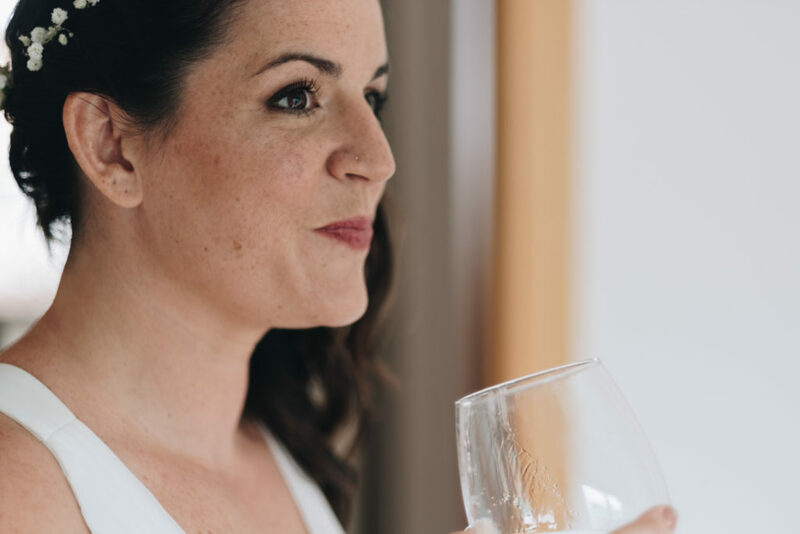 Barcelona Destination Wedding with our Scottish Bride and Irish Groom. 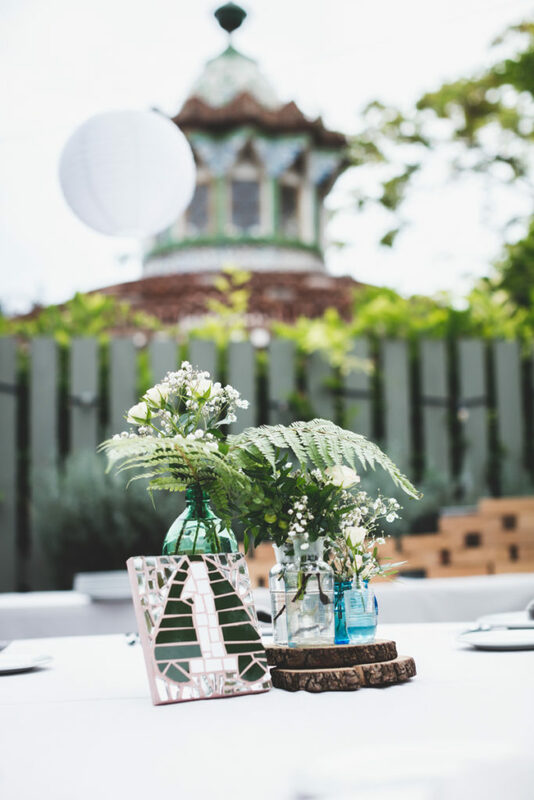 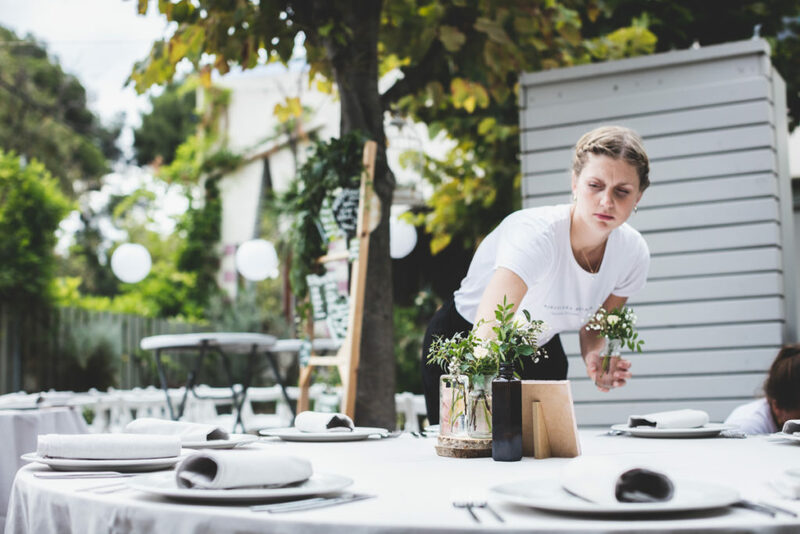 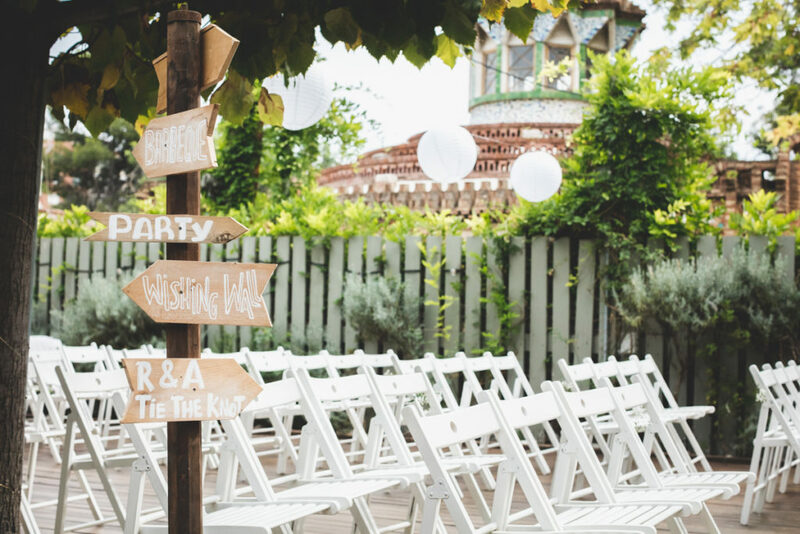 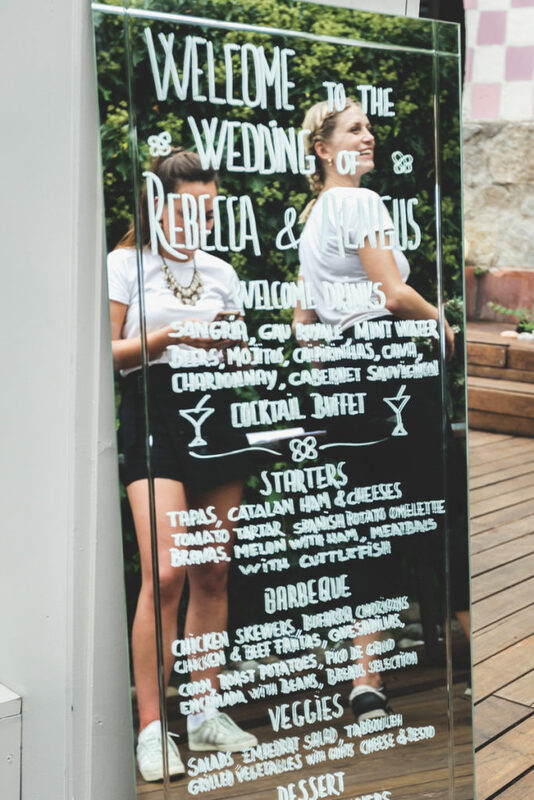 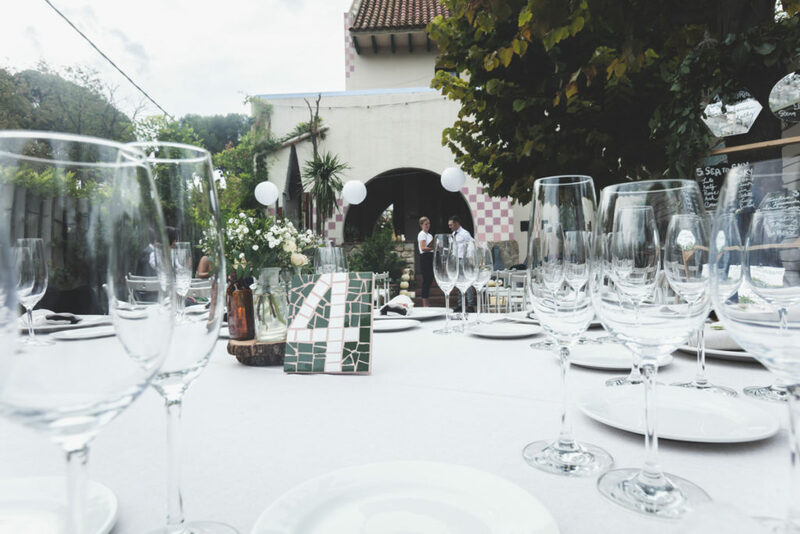 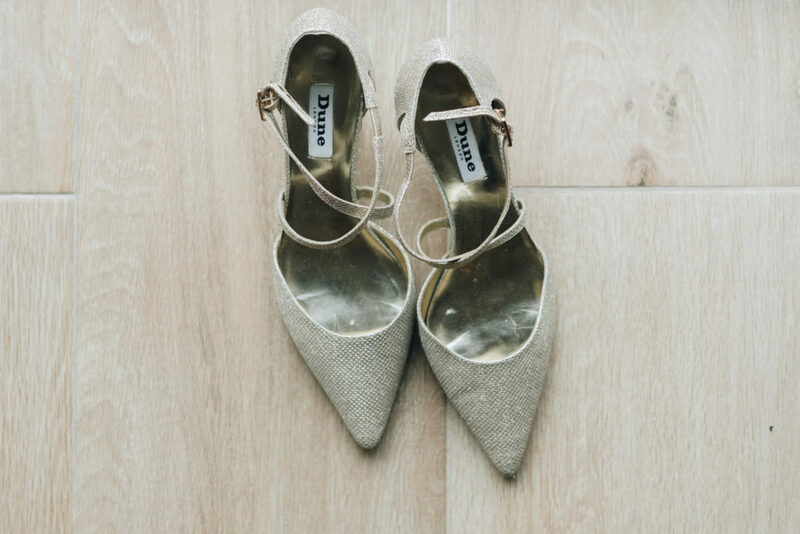 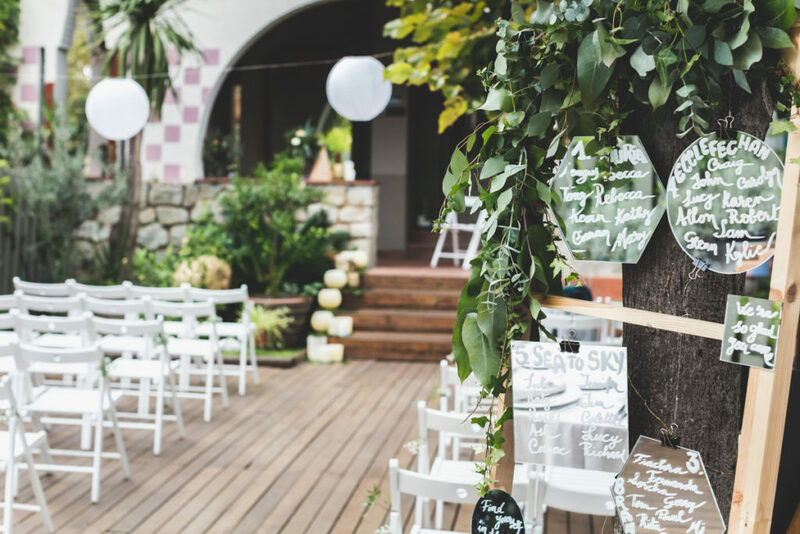 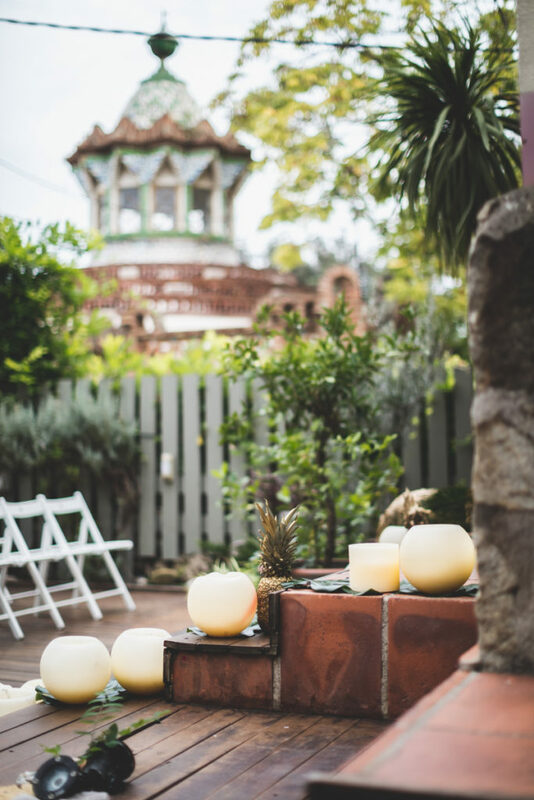 Wedding venue Los Tilos and full of Gaudi and modernist Barcelona details. 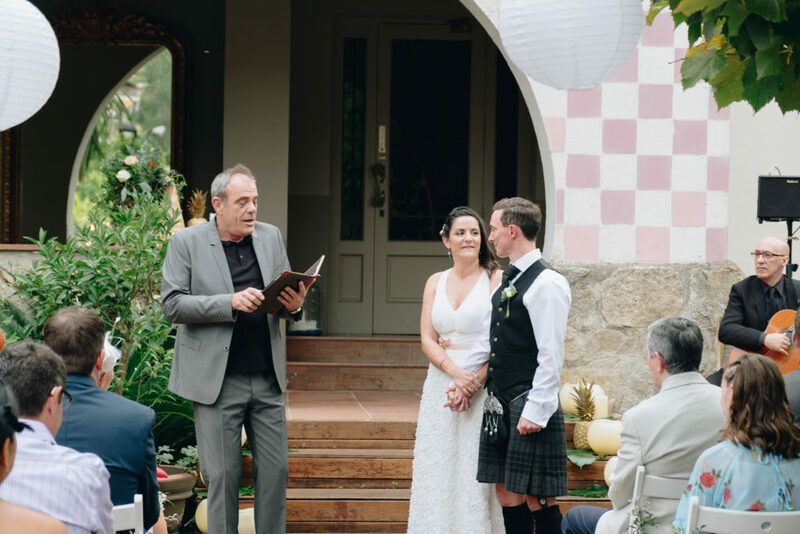 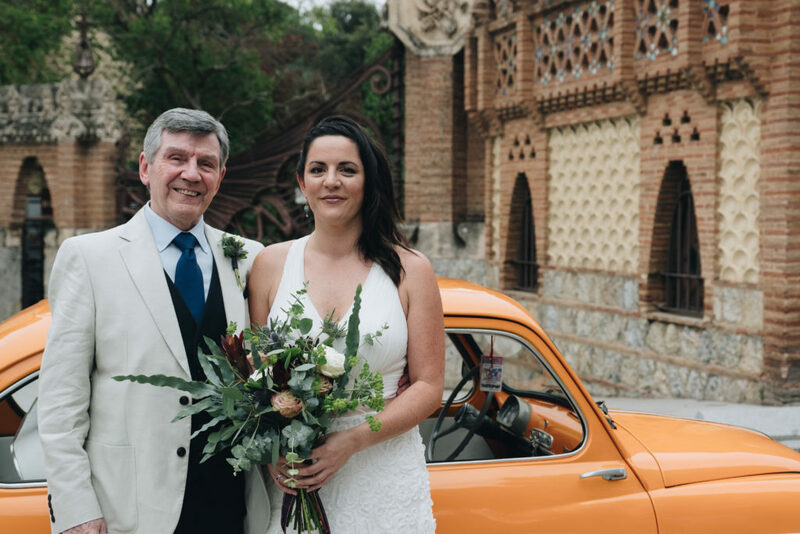 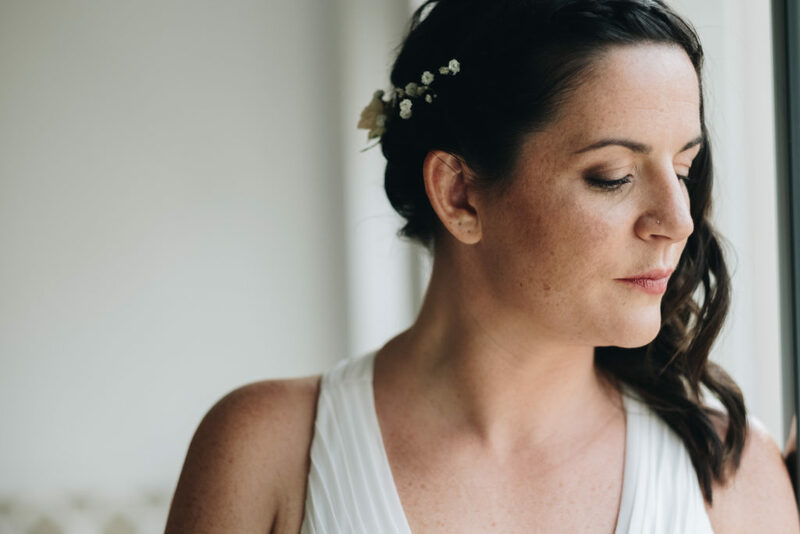 Los Tilos, Barcelona Wedding, Scottish Bride, Irish Groom, Wedding venue, Los Tilos, Gaudi, modernist Barcelona details. 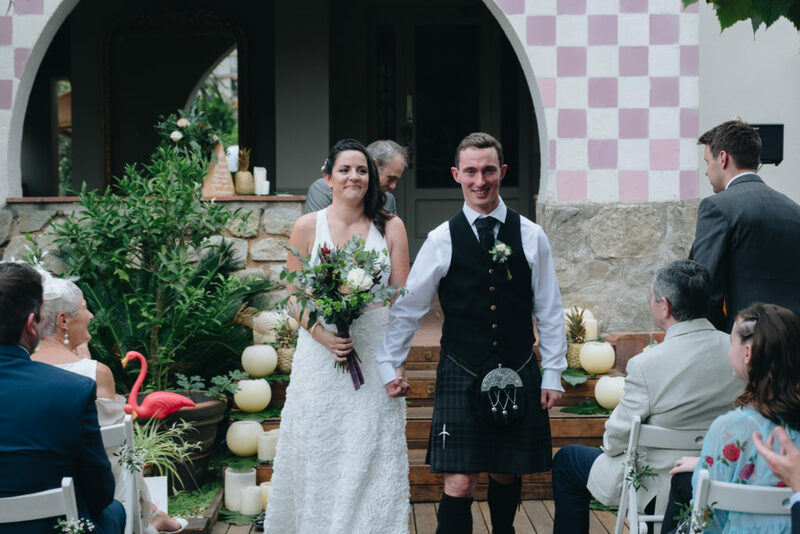 We’re very lucky to work with couples like Becca from Scotland and Aengus from Ireland. 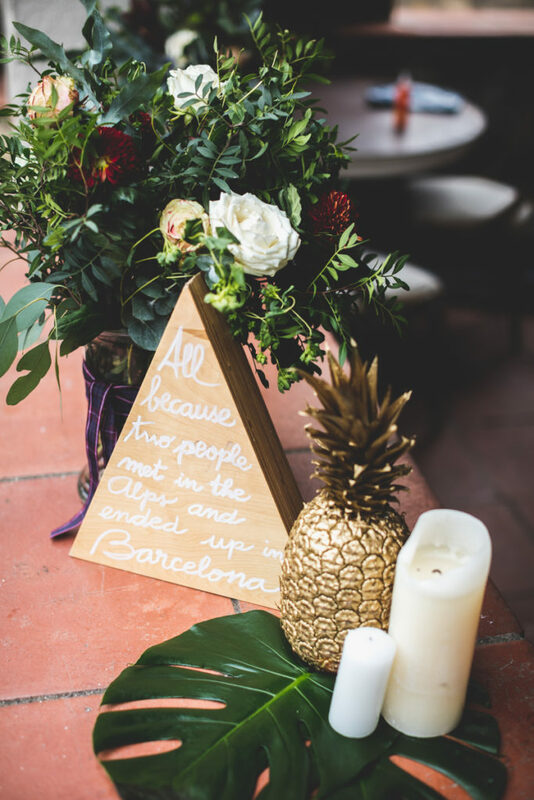 They had a million reasons to choose Barcelona for their wedding and we were honoured that they chose us for this special day. 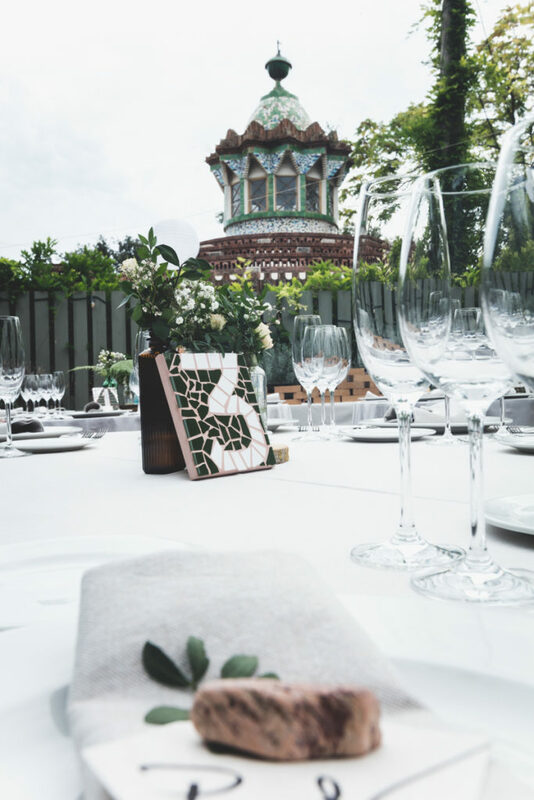 At their chosen venue Los Tilos they were surrounded by art with Gaudi tiles and the Palau Güell towering over their dinner view. 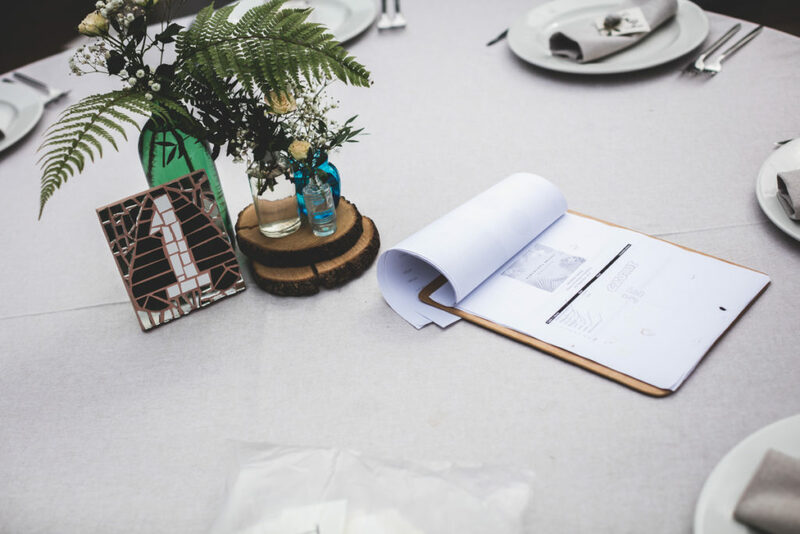 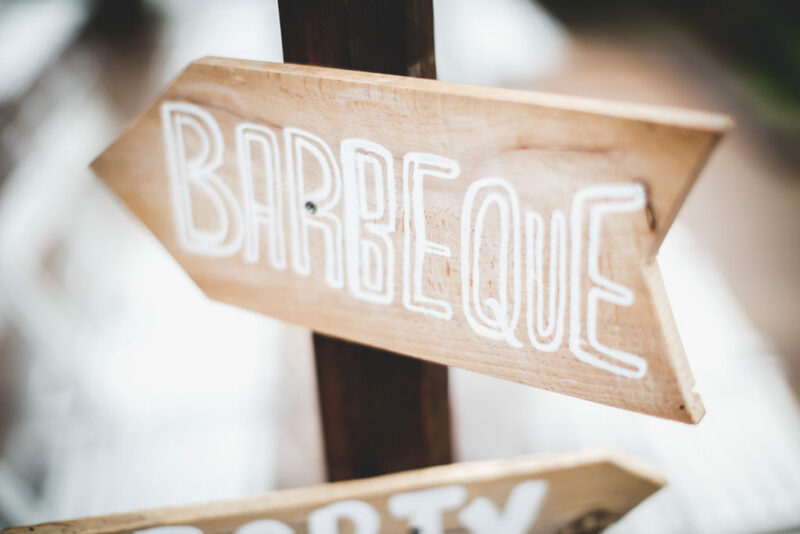 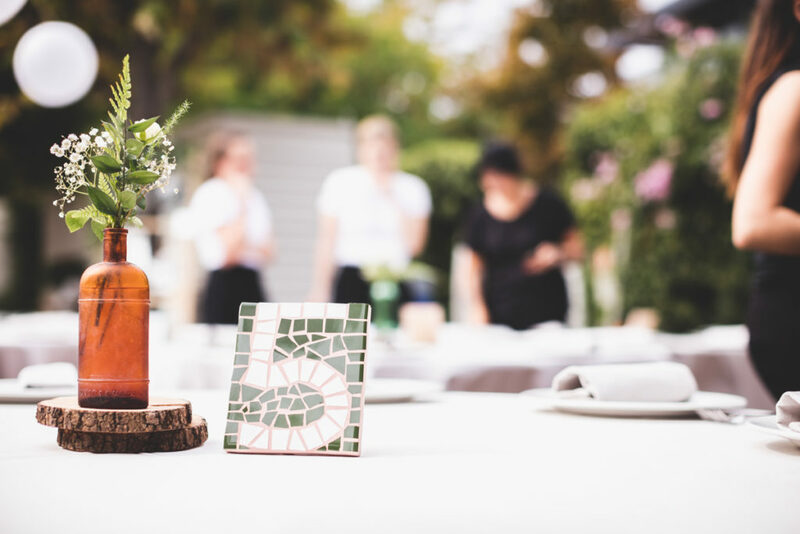 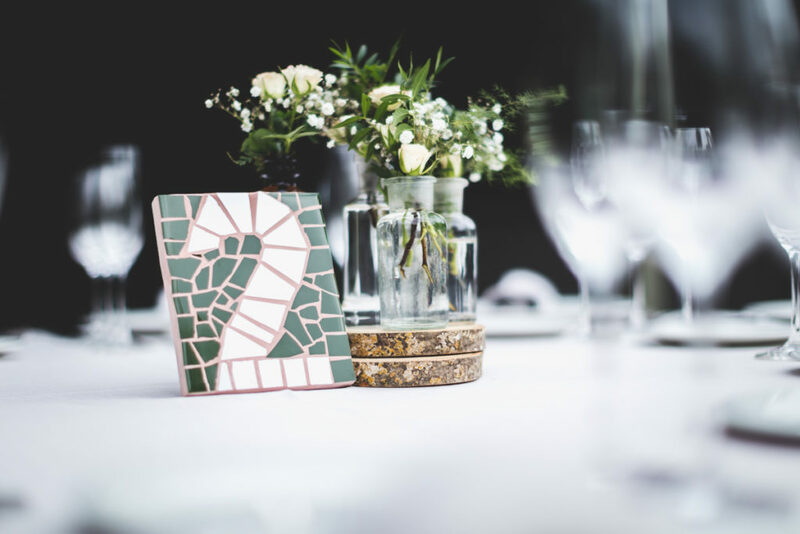 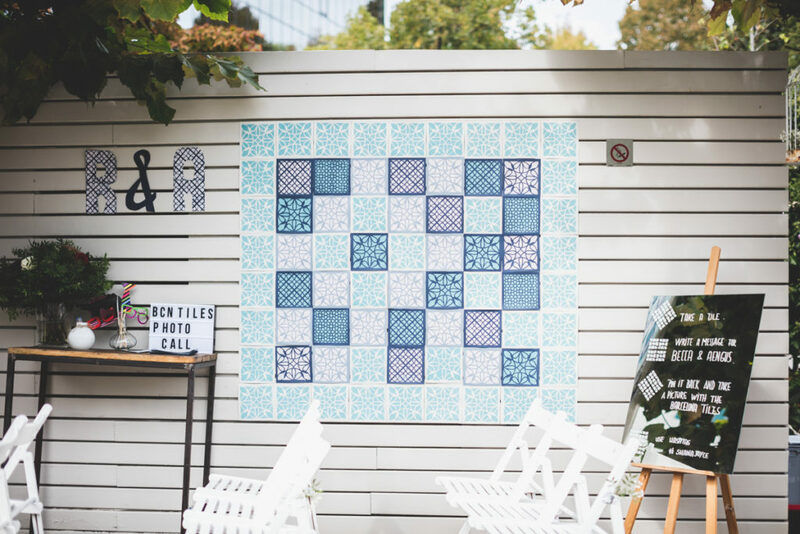 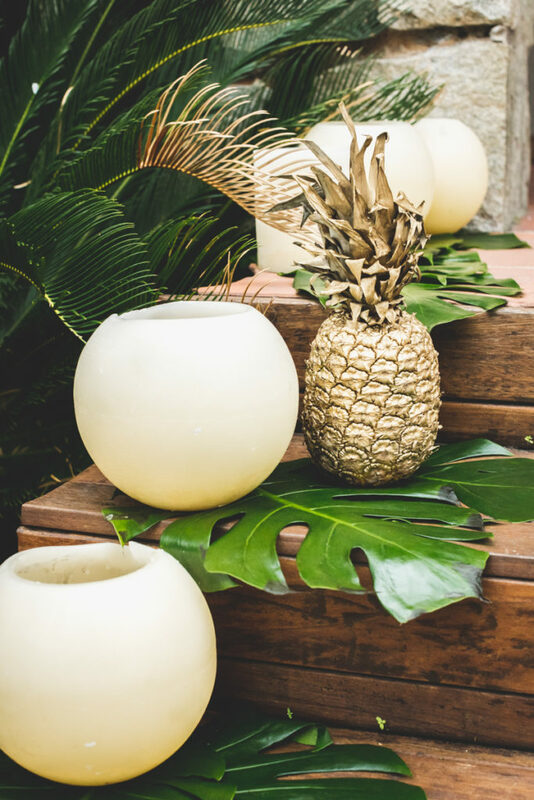 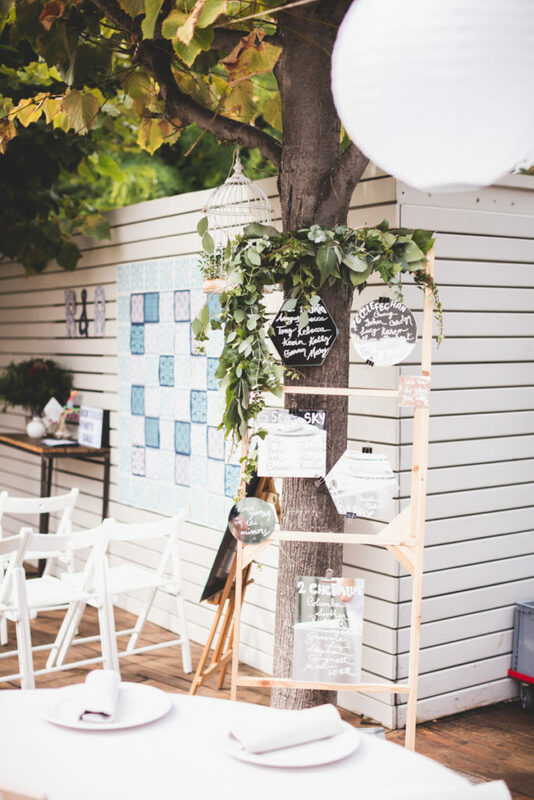 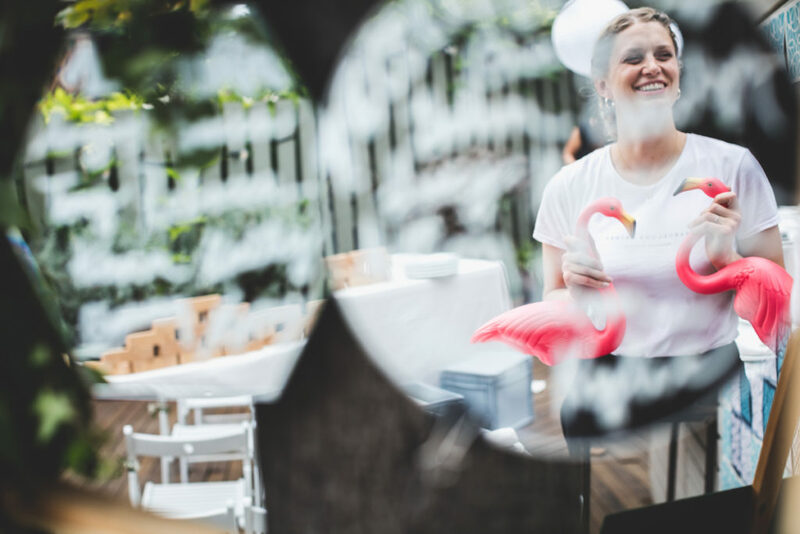 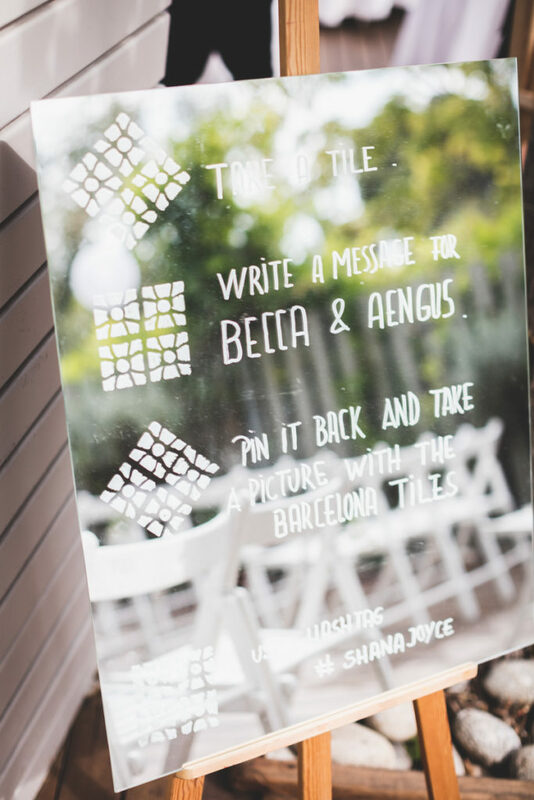 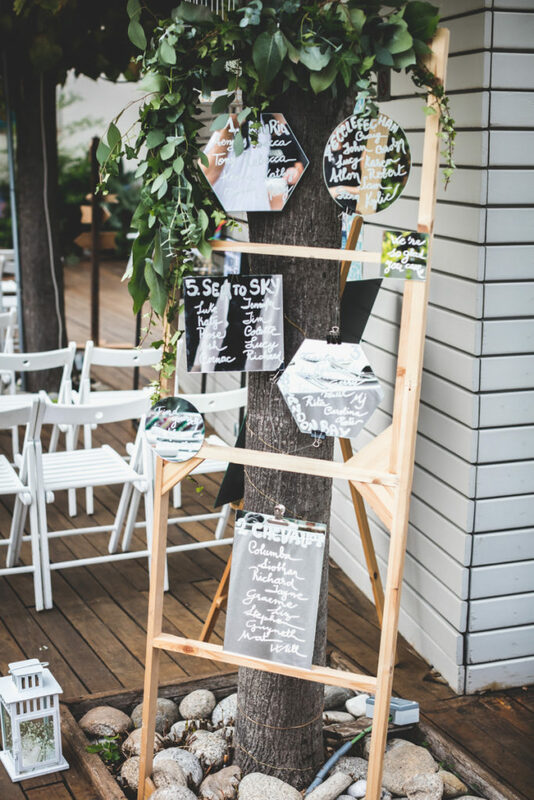 We added to this charming modernist house by adding a hand painted Barcelona tiles photo call, mosaic table numbers, golden pineapples and tropical greenery details. 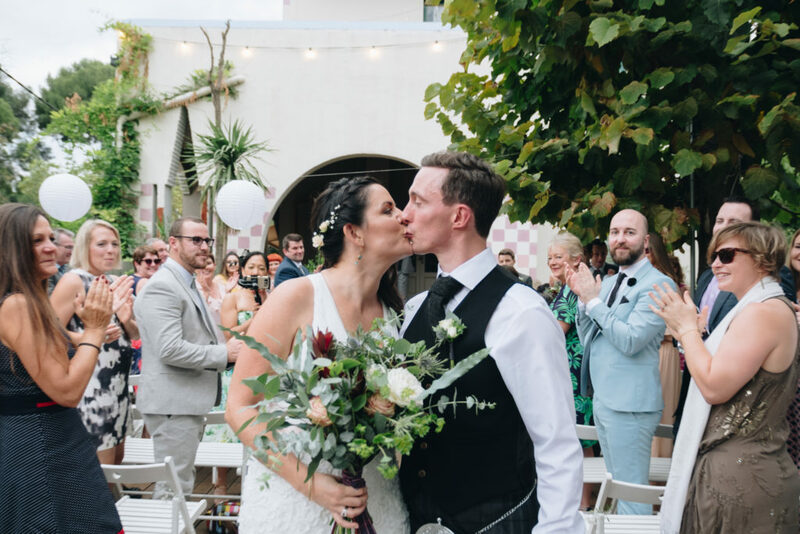 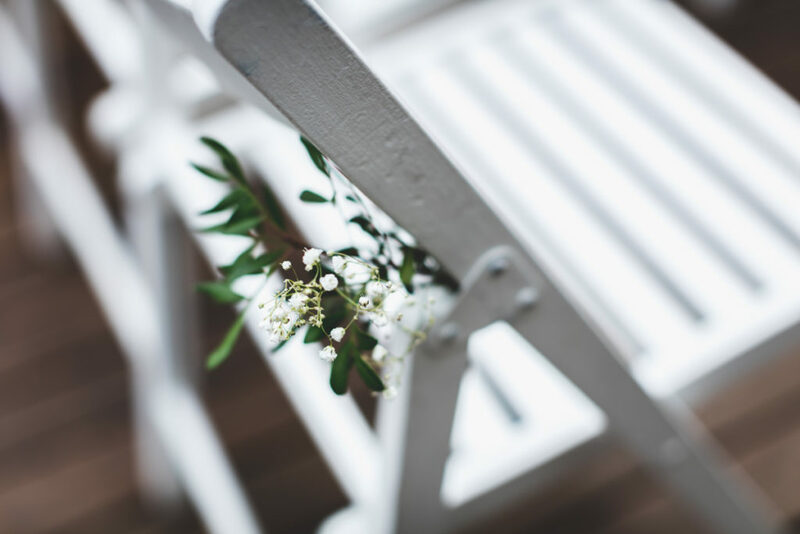 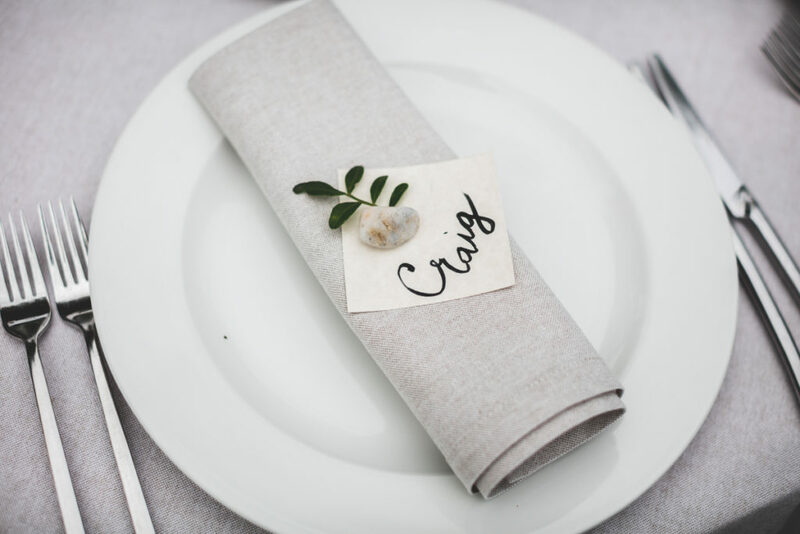 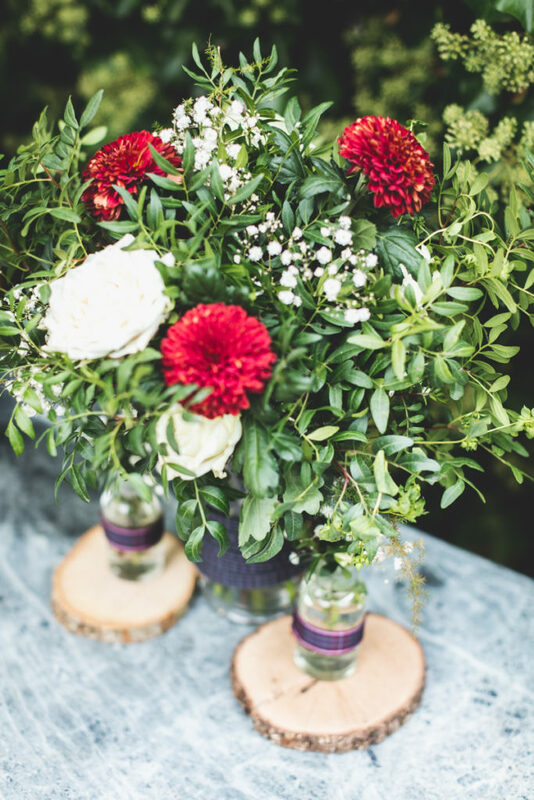 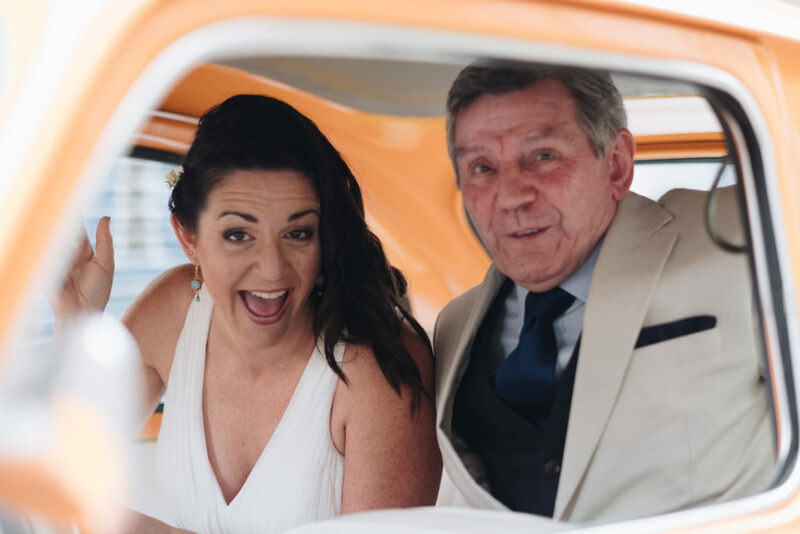 Personal details of the couple and their story were also present with tartan ribbon on the blooms and abstract mirror seating chart with tables named after Celtic places of beauty. 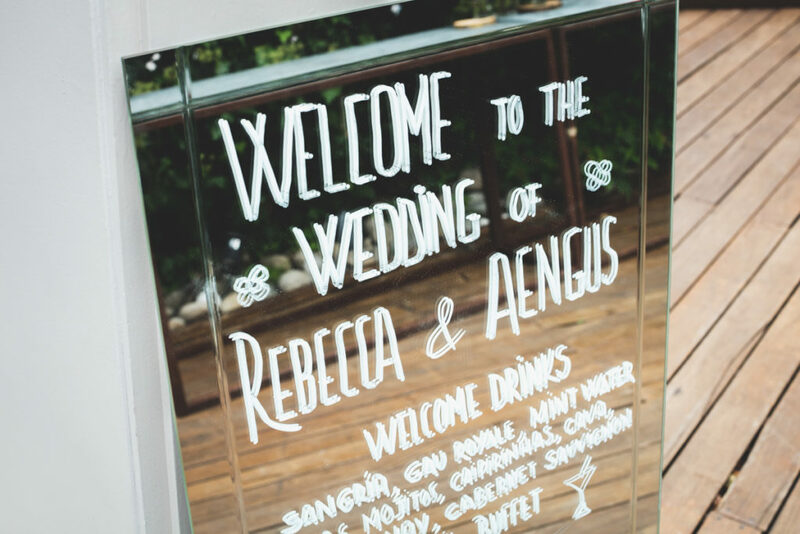 With clients like these, every detail is worth it.